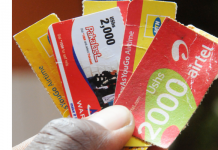 In Uganda MTN’s MobileMoney service already boasts more than 1 million registered users, making it one of the most successful mobile wallet deployments in the world. A World Bank report released yesterday revealed that Uganda receives nearly US$800 million in remittances every year, making up 3% of the country’s GDP. “Uganda has been chosen as the first country to roll out this partnership following the massive success of MTN Mobile Money. The MTN Mobile Money service has made a significantly positive impact to the lives of millions of Ugandans in many ways, and this partnership with Western Union will do even more. 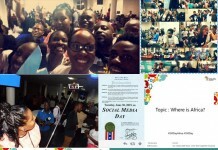 The World Bank reckons that up to $773million will be transferred into Uganda this year, and we know that MTN Mobile Money access will increase the number of people in Uganda receiving money by Western Union, and will also increase financial inflows into the country from abroad,” said MTN Uganda Chief Executive Officer, Themba Khumalo. When the new international remittance service is activated, MTN subscribers registered for MobileMoney will be able to receive Western Union Money Transfer transactions in their mobile accounts. In addition, MobileMoney users in certain countries will be able to send Western Union Money Transfer transactions directly from their mobile phones for payout at one of Western Union’s 386,000 Agent locations in 200 countries and territories around the world. An MTN subscriber who receives a Western Union Money Transfer transaction in his MobileMoney account will be able to use the funds to pay bills, top-up airtime, send money domestically and internationally, or withdraw cash at MobileMoney Agents or any participating ATM. MTN’s MobileMoney service is currently available in Benin, Cameroon, Ghana, Guinea Bissau, Ivory Coast, Rwanda, South Africa and Uganda, with pilots underway in several other markets. The service offers consumers a convenient, secure and affordable way to send money within the same country (domestically), buy airtime and make basic utility payments using their MTN mobile phones. MTN offers the service in partnership with local banks. 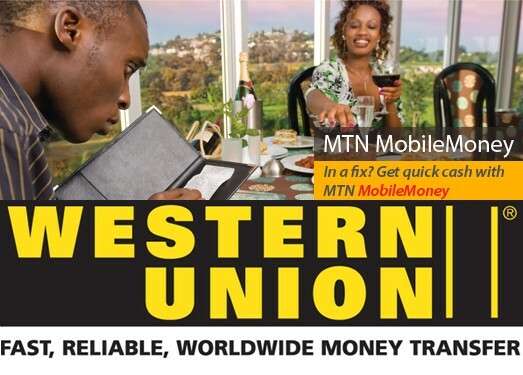 Western Union offers the Mobile Money Transfer service in the Philippines with Smart Communications and Globe Telecom; in Kenya with Safaricom; and in Malaysia with Maxis. The company also recently announced an agreement with EnStream in Canada and State Bank of India in India and has other agreements for Mobile Money Transfer with banks in Tunisia, Libya and South Africa.